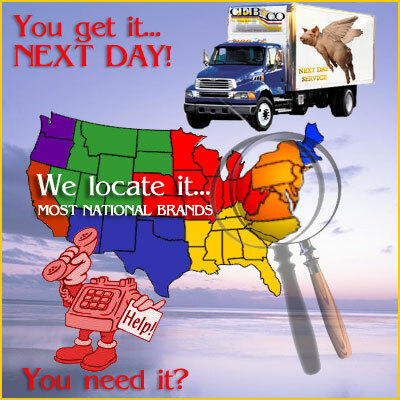 We get you what you need, when you want it! Due to our years in the business, we have access to just about anything our customers are looking for and we can usually get the product to them the very next day. They can call me and tell me they need 400 cases of a Major Brand by tomorrow. I then make a dozen calls. I call everyone I know who stocks the product they seek and I choose one who is close enough to get the product to the customer overnight. We utilize what ever transportation is available. Some people will pick up, some will use their own trucks and some will use common carriers. Charles E. Blumer Company, Inc.